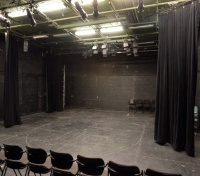 The University of Ottawa offers graduate courses in theatre: The Master of Fine Arts (Directing), first accepted in 2004 and The Master of Arts in Theatre, accepted in 2008. The first partial review of the MFA (Masters Of Fine Art) was conducted in 2006 and the second in autumn 2014. The 2014 review covers 8 years of activity from autumn 2006 till autumn 2014. 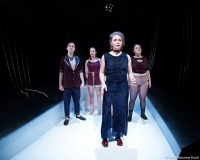 The existence of two graduate programs, the MA in Theatre (Theory and Dramaturgy) and the MFA in Theatre (Directing), shapes a unique learning environment within Canada’s capital city where the students have the opportunity to study in both French and English. The candidates interact on many levels; students share two seminars, Dramaturgy and Theory of Performance, enabling the students to collaborate on both academic and practical projects. The Graduate Programs in Theatre promote the exchange between the professional theatre community, faculty and students by offering connections to professional theatre critics, contemporary theatre research and practical apprenticeships. Both of the programs are for 2 years, full-time. In Canada the professional theatre-directing program is the MFA in Theatre (Directing) such as the one at the University of Ottawa. The program looks at the two principal theatre cultures in Canada. The course also makes the students question their sense of aesthetic diversity by exposing them to contrasting approaches to directing. This program is 2-year full-time research degree consisting of course, and a dissertation. This degree provides the chance for students to develop their analytical, critical and scholarly skills by spiking interest into doctoral studies. The program encourages the analysis of the Western world’s principal theatrical traditions from various perspectives. Students are too increase their knowledge on Canada’s two principal theatre traditions as well as researching them. The MA (Masters) offers two dissertation options: The traditional MA Monograph Thesis and Medieval and Renaissance Students. 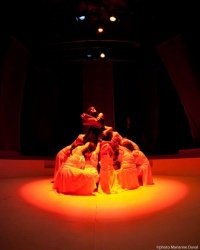 There are three theatre programs offered to undergraduate students: Honors BA with Specialization in Theatre, Major in Theatre and Minor in Theatre. These three courses of study allow the students to explore a vast range of theatre studies and gives the students a gateway into creative expression. The Department teaches nearly every aspect of theatre there is from acting/directing to arts administration. By providing such a wide variety of course the department lets the students decided on how their degree will be structured. There are many opportunities for the undergraduate students to get involved with practical work as there are two major theatre companies and three student companies working with the department to generate up to thirty original productions a season. The Department of Theatre at Ottawa University sets out to combine theoretical knowledge and practical learning. The main stage where we can welcome between 170 and 185 people. The shows presented there are mainly shows directed by invited directors or MFA students. A black box where we presents differents shows from MFA exercises to directing classes projects to invited directors shows, etc. This page was last modified on 6 February 2019, at 19:43.